Two of the world’s leading wine companies, Treasury Wine Estates (TWE) and Baron Philippe de Rothschild SA (BPhR) today formalized the commencement of a unique distribution partnership at a formal ceremony in Shanghai. 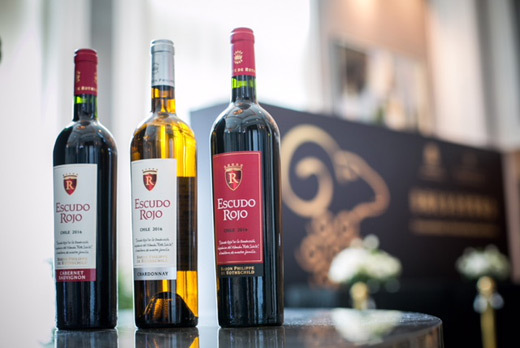 Effective January 2018, TWE is managing the sales, marketing and distribution across China of BPhR’s range of French and Chilean brands led by Mouton Cadet, the most popular Bordeaux wine brand in the world, and Escudo Rojo, a premium wine brand from Chile. 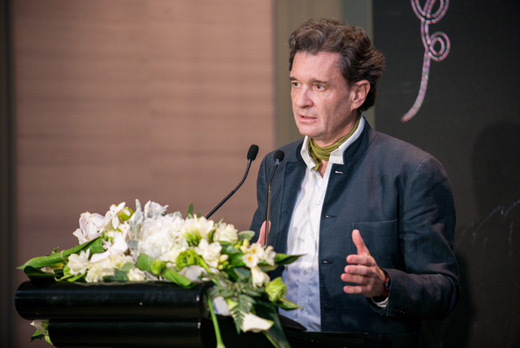 The launch ceremony was attended by Chairman of Baron Philippe de Rothschild’s Supervisory Board, Philippe Sereys de Rothschild and TWE Chief Executive Officer, Michael Clarke. A landmark moment, the event set the seal on the partners’ ambitions to work together in promoting Baron Philippe de Rothschild’s brands in China, the largest market for French and Chilean wines in the world. “A real crossroad between East and West, China has a thousand-year history of refinement, exchange and boldness, values particularly dear to the Rothschild family. Working hand in hand with Treasury Wine Estates, our joint efforts are underpinned by shared value of excellence and commitment. Together, we underline our intention to continue to expand on a fast-growing strategic market,” said Philippe Sereys de Rothschild. 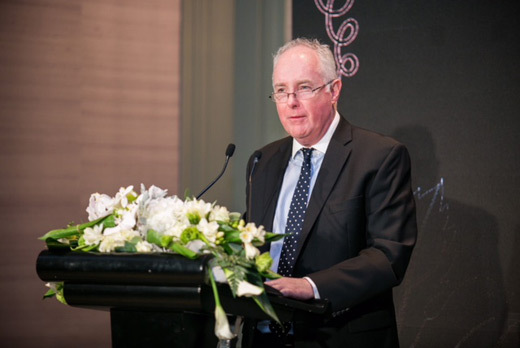 “The partnership with Baron Philippe de Rothschild is a significant milestone for TWE in China as we continue to expand our country-of-origin offerings to consumers and position TWE as the premium wine supplier of choice. We look forward to leveraging our strong distribution network to drive marketing and sales for BPhR,” said Michael Clarke. Mouton Cadet has been the symbol of the Rothschild family’s visionary spirit and commitment to innovation since its creation in 1930. 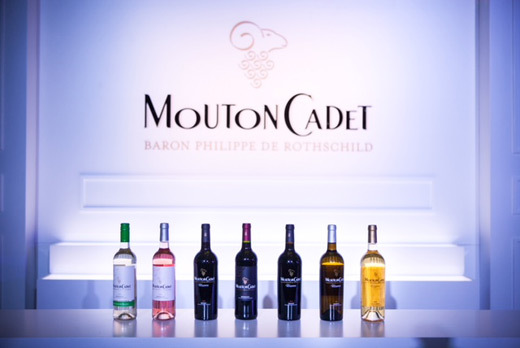 To bring the riches of the prestigious Bordeaux terroir and further enhance the Mouton Cadet brand, BPhR has launched the new Mouton Cadet, offering a different experience to consumers. With the 2015 vintage, the new Mouton Cadet offers a “significant move towards a fuller, more succulent, rounder and smoother wine – a taste that can be attributed to Mouton Cadet’s new approach, designed to deliver the most accurate “expression of its terroir”. As Mouton Cadet 2015 is the first parcel selection vintage, the priority given to controlling its sources of supply enhances the quality of its offerings. At the same time, the best grapes are ensured through close collaboration with 453 partner-winegrowers and seven oenologists dedicated to Mouton Cadet. In addition to the partnership between TWE and BPhR, TWE today also announced a new e-commerce collaboration with leading online retail platform Tmall. The partnership will include listing of wine brands from the BPhR portfolio including Mouton Cadet and Escudo Rojo on the Tmall platform, while also signifying the partners’ commitment to new technologies that enhance the consumer experience in the Online-to-Offline (O2O) model as part of the Alibaba ecosystem. Treasury Wine Estates (TWE) is one of the world’s largest wine companies, listed on the Australian Securities Exchange (ASX). The company has a rich heritage and a portfolio of some of the most highly regarded wine brands in the world, including Penfolds, Pepperjack, Wynns, Beaulieu Vineyard, Beringer, Wolf Blass, 19 Crimes, Matua, Chateau St Jean, Sterling Vineyards, Gabbiano, Lindeman’s, Rawson’s Retreat and Blossom Hill. TWE is focused on portfolio premiumization and brand-led marketing, with world-class production facilities in internationally recognized wine regions. The company sources grapes from a mix of owned, leased and third-party vineyards. Employing approximately 3,500 winemakers, viticulturalists, sales, marketing, distribution and support staff across the globe, TWE’s wine is sold in more than 100 countries around the world.